Canadian Geographic, with the financial support of the Canadian Association of Petroleum Producers (CAPP), wanted an interactive platform to educate Canadians about energy. 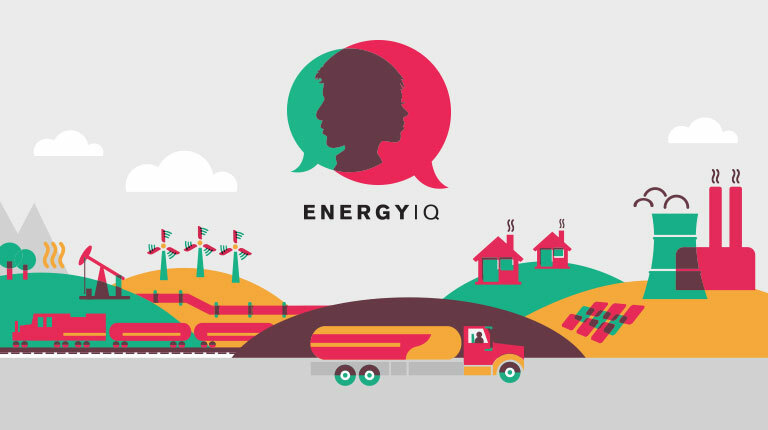 Their wish was our command, so Strut designed, developed and launched Energy IQ — an interactive in-classroom, curriculum-linked resource that provides a realistic snapshot of Canada’s current energy landscape. We worked with a team of writers, editors, cartographers and accredited educators who spent almost a year preparing and fact-checking the Energy IQ lesson plans, the giant floor map activities and online content. The result: a program that Canadian teachers are now using to introduce energy issues into their classrooms, making learning fun and engaging. With Energy IQ, the 10,000+ teacher members of Canadian Geographic education now have an ever-evolving teaching resource that covers energy topics from A-to-Z, from growing demand and the energy mix to emerging technologies and regulatory requirements. Teachers can adapt content for their specific grades and use a built in slide-pack builder to create their own presentations and custom teaching packages. Best of all, it gives teachers the tools and resources to share information, ideas and get their students immersed in today’s important energy issues. Our custom content management system allows the Canadian Geographic team to develop and publish their own rich web content, including interactive quizzes, video, layered maps, and learning activities. A custom news aggregation system pulls relevant articles into the CMS from news outlets around the globe, allowing Canadian Geographic Education staff to evaluate and present to teachers valuable content on key energy issues. Creating a centralized, up-to-date and comprehensive collection of materials and interactive learning tools to help Canadian students better understand the Canadian energy landscape.